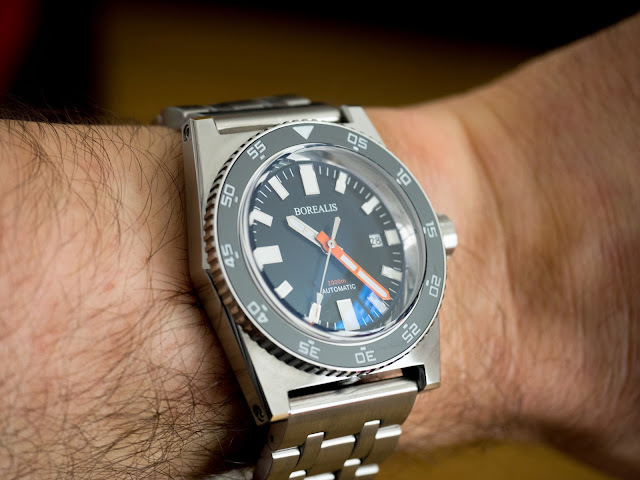 At long last, Borealis has opened pre-orders on the highly anticipated Scorpionfish, an off-beat timepiece that melds vintage style with modern flair and delivers it at the extremely attractive price of $332.22 USD. 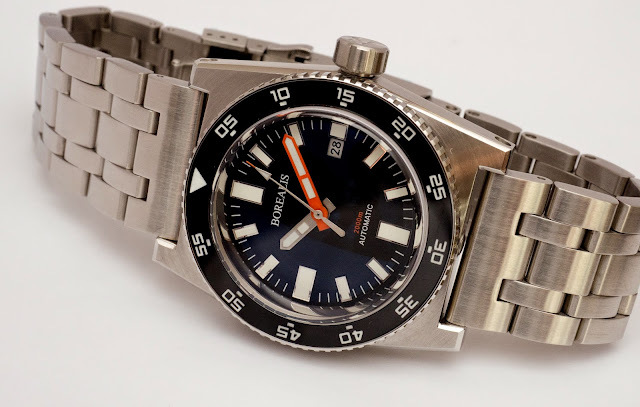 Inspired by the French ZRC divers of the 1960s, the Scorpionfish sports a six-sided case of brushed stainless steel, measuring 42.5 across, 49mm long, and 14.5mm thick on stubby lugs. 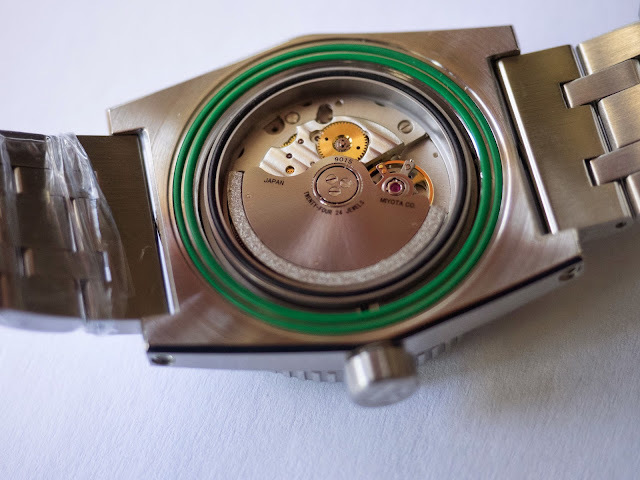 A double domed sapphire crystal swells over the otherwise flat, blocky case, surrounded by a 120-click unidirectional bezel and ceramic insert. 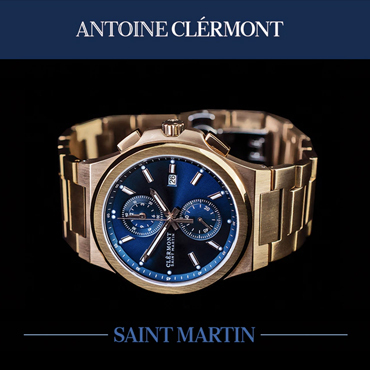 Securing the watch is a link bracelet that tapers from 24mm to a signed 20mm clasp with diver's extension. The Scorpionfish is more than just an interesting shape. 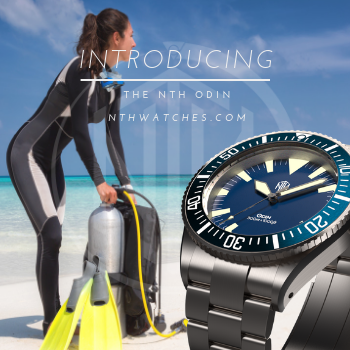 It is also an immensely capable diver. 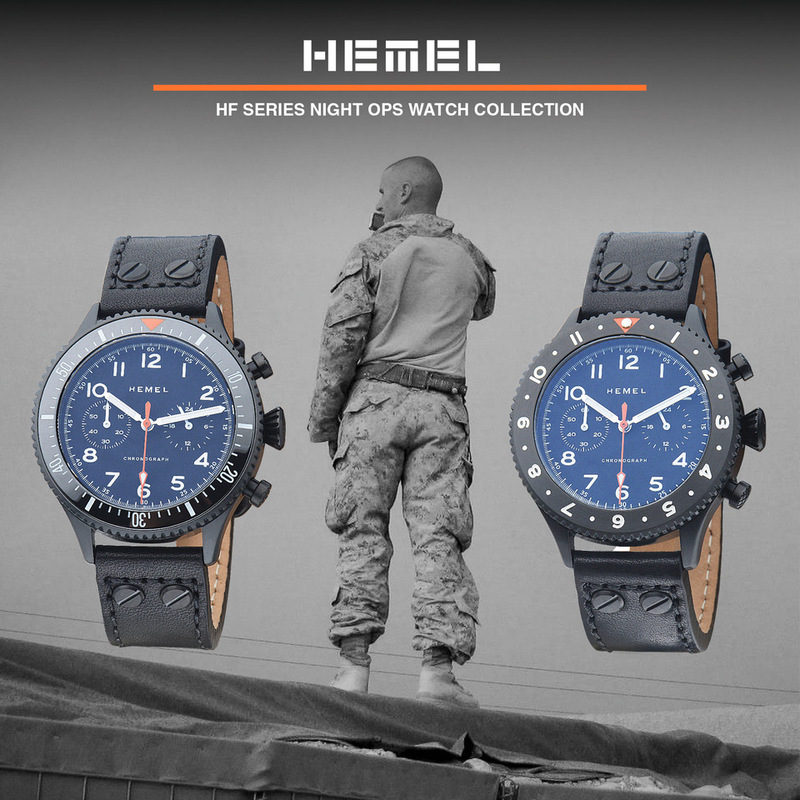 It has antimagnetic shielding (4,800k A/m), and 2000 meters water resistance. Yes, two thousand. A bayonet style case back compresses under pressure, allowing exceptionally high water resistance and a low profile. 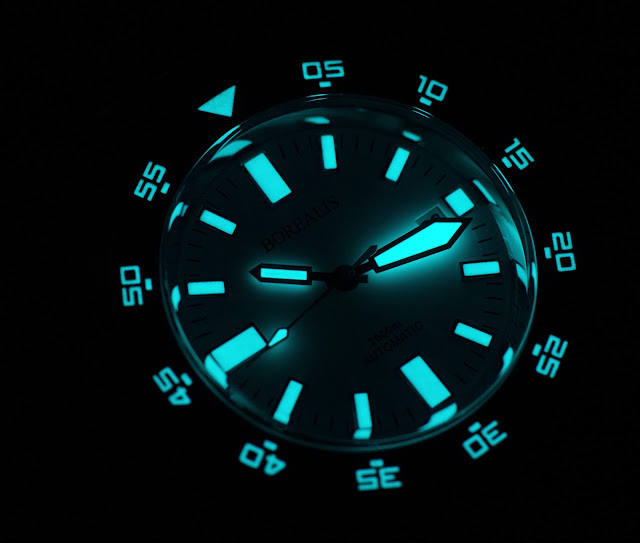 This case is also shared with the Crepas L'ocean, which has a helium valve and 6 o'clock crown. The Scorpionfish has a 3 o'clock crown so it fills the bottom hole with a second valve. It may be overkill, but it is mighty cool. Inside this vault, a 24 jewel Miyota 9015 purrs away at 28.8k bph. 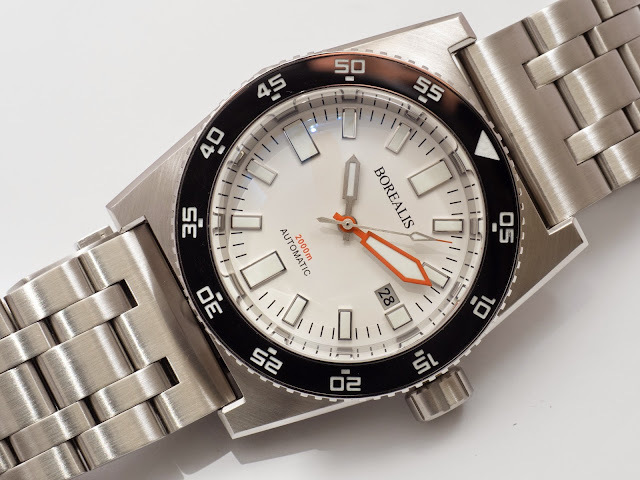 The dial comes in black or white. 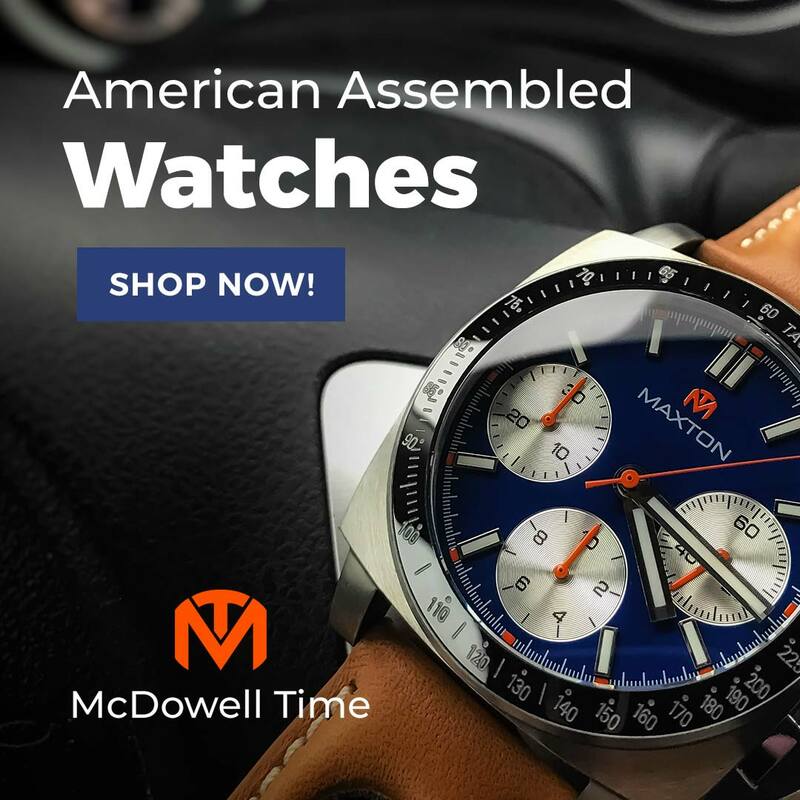 BGW9 SuperLuminova lights up the applied markers, timing bezel, and your choice of "modern" or "plongeur" hands, both with orange minutes. It is a traditional look and all the more so in light of the unorthodox case, but handsome nonetheless. The sharp angles and extreme proportions of the Scorpionfish may not be to everyone's taste, but those of us who enjoy something a little different will be swept away. If you are among this number, Borealis will take your 50 percent, non-refundable deposit at BorealisWatch.com. Delivery is expected in July or August 2015.